Your last chance for holiday shopping at Sugarloaf Crafts! Our final Sugarloaf show of the season is overflowing with loads of great gifts for every age and stage of life. In the home decor department, our glass blowers, wood turners and fine artists have beautiful items to dress up your home and your dinner table. James Mofhitz of Humorous Clocks has figured out that time really is relative - to your priorities. Check out some of his hilarious interpretations of time for every occupation or hobby. A favorite saying goes, “It’s always be 5 o’clock somewhere!” but to your dog, it’s always play time or scratch and sniff time. To the fishermen, gardeners and teachers in your life, it’s time for something else entirely. Dress up your dinnerware with Mark Speiser’s beautiful wooden bowls made out of cherry, walnut, oak, ash and maple. His company, Bowled-Over Woodturning crafts stunning wooden bowls that are equal parts artistic gems and fully functional diningware. No need to buy new slippers every winter once you have a pair of sheepskin slippers by Homestead Leather. Brian Rosenbarker creates leather and sheepskin bags, wallets, travel accessories and other items meant to last decades. The notion that you can find beauty in everything is more than a cliche to Tiffany Kimmet. She photographs ordinary objects like staircases, church doors and animal faces and pairs each with a quote from scripture for her plaques, notecards, pillows, magnets and other items. Despite the seriousness of world events, we all need something to laugh about to lighten our spirits. Stroll by Bruce Garrabrandt’s booth for some hilarious punny illustrations. He creates prints and gift books filled with light hearted drawings as an antidote to the harshness of front page news. Profound words really do deserve to be set in stone - or at least etched in glass, as Carol Bloomgarden does with her incredible glass etchings of famous poems and inspired quotations. Her itty, bitty, tiny writing, also known as Micrography, is carefully inscribed in the outlines of animals and nature scenes. 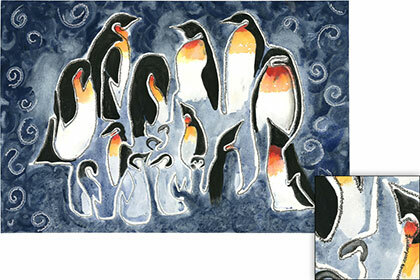 Her works are awe-inspiring conversation pieces and wonderful keepsakes to treasure for years to come. Handblown glass ornaments from Canton Glassworks can be hung indoors or outside. John Boyett makes whimsical holiday and nature-themed glass ornaments that you’ll enjoy all year round. Well Jared Slater had this thought about his Great Aunt Caroline’s BBQ sauce so many times that he finally went from thinking about a business to running one. Aunt Caroline’s BBQ sauces come in 10 great flavors - all are great on chicken, pork and steak. The Honey Mustard and Glaze, Rib & Dippin sauces are especially good for dipping. Jared has many serving suggestions, but basically they’re great on anything that could stand a few spoonfuls of molasses, brown sugar and spices. Lynn and Alan Fliegel of Babytoes Clothing started out making handpainted clothing for infants and toddlers. Each of their children’s outfits comes with a pair of matching socks attached. 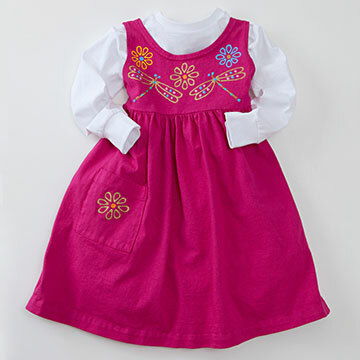 Their complete line includes comfortable, stylish clothes for infants, toddlers and women. All items are pre-shrunk and machine washable. If you or someone you know is that guy or gal who is happiest manning (or wo-manning) the grill, Apothecary Spices has some wild spice blends. Eddie Gonzalez has been making his specialty spice blends for friends and family for years. After endless experimenting, he figured everyone can be a successful grillmaster with the right spice blend at hand. His recipes are suitable for meat eaters, vegetarians and even some dessert dishes. His seasoning blends appeal to people who like intense flavors and are appropriately named: Eye of Newt, Wing of Bat and Dragon’s Breath.